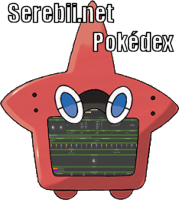 Welcome to the Serebii.net International Pokédex for Pokémon Sun & Moon, Ultra Sun & Ultra Moon and Let's Go, Pikachu! & Let's Go, Eevee!. This Pokédex provides an in-depth look at all 809 Pokémon in the 7th generation. If you were looking for Generation VI Pokédex click here. For Steps For the Egg to hatch, the Data was extracted from the game so even unbreedable Pokémon will have Egg Step amount. For Pokémon in the Kanto Pokédex, Bulbasaur to Mew, due to the inclusion of Let's Go, Pikachu! & Let's Go, Eevee!, it is separated into two areas with a tab. Click the tab to go between Sun & Moon/Ultra Sun & Ultra Moon and Let's Go. This is due to stat calculations being different requiring multiple tables. The CP table will also initially display just Level 5, 50 and 100, but can be toggled to display all 100 levels.